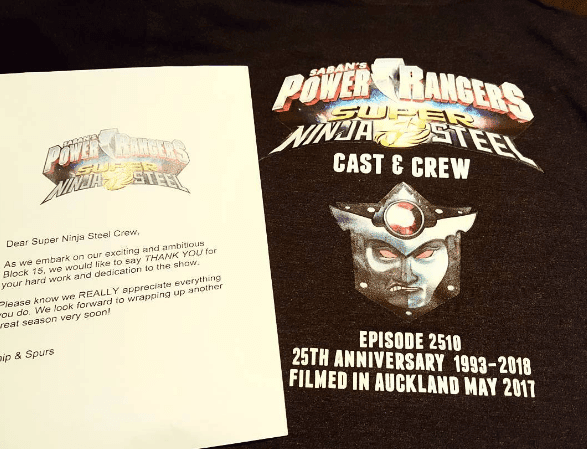 With the recent filming conclusion of the second season of Power Rangers Ninja Steel which will be entitled Power Rangers Super Ninja Steel, an image of a commemorative t-shirt has surfaced giving us our first look of the new main villain for the series! Printed in the t-shirt that was designed by Valentine Arnel is the face of Juza Yumihari, who was the main villain in the Shuriken Sentai Ninninger summer movie back in 2015. 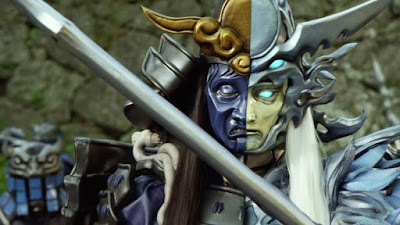 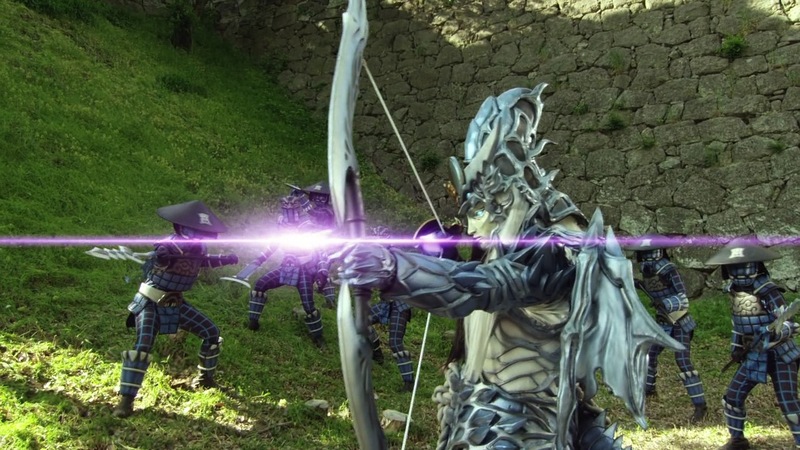 If this is true, this will be the second time that Saban used a Super Sentai movie villain as a primary one just like Neo Gelidon from Jyuden Sentai Kyoryuger VS Go-Buster who was adapted in Power Rangers Dino Super Charge as Snide. For now, let's take this with a grain of salt and wait for the official confirmation from the people at Saban.